At Lucas Dental Care, your first visit is a gentle introduction to make an assessment of your needs. This process includes a thorough examination and cleaning of your teeth. We look at your dental history and take note of any concerns you may have. Your dentist will then tailor a comprehensive treatment plan for you. Dental health is part of your general health and Lucas Dental Care provides comprehensive care to help maintain your oral health. We encourage regular check-ups for both adults and children to ensure that your teeth remain healthy. Any problems can be identified early so treatment can be managed more easily. A great smile not only looks good but it is important for general health, function and self-esteem. Healthy young teeth can mean healthy teeth for life. 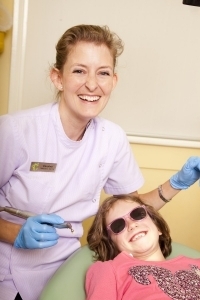 Our paediatric dentists help your child learn about their teeth in a safe environment. A preventative care program is provided in addition to your child’s general dental treatment. This plan includes all the information you need to help protect their teeth from childhood to adulthood. Lucas Dental Care offers a range of cosmetic dentistry services from veneers, bleaching, crowns and bridges, because we understand the importance of a confident smile. Contact our friendly staff to discuss your specific needs today. Lucas Dental Care has a great deal of experience treating children and adults with special needs and disabilities. If you have any questions about specific patient needs, please do not hesitate to speak to our receptionist for more information.